Includes full album download code and a 20 page 12x12 book. ...Like Clockwork is the first Queens Of The Stone Age album since 2007's Era Vulgaris and, according to its founder constant, Joshua Homme, "...like clockwork was the only thing that didn't happen. " After a "manic year," Homme and the current version of the Queens — veteran Troy Van Leeuwen, Michael Shuman and Dean Fertita—along with the outgoing Joey Castillo and returning associate Dave Grohl, decided to embrace The Beast, "ride shotgun on our emotional bandwagon... hold the horrible, lick the lunacy" and, instead of shying away from uncomfortable or painful subject matter — face it head-on. 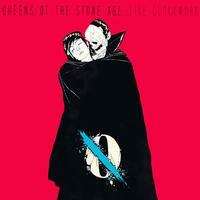 Whatever happened — out there, in whatever desert arroyo, former meth lab, decommissioned missile silo, nuclear test site, underground laboratory, convergence of brain waves and gamma rays, QOTSA emerges with not only their best work to date, but one of the most ambitious, fully realized classic rock albums in recent memory.